"This cable jumper is knitted from specially-spun wool for high insulation – keeping you warmer. This is an excellent piece for downtime casual style, yet smart enough for a dress-down office day. Zip up or down the neck to adjust to the weather – it can even replace a scarf." 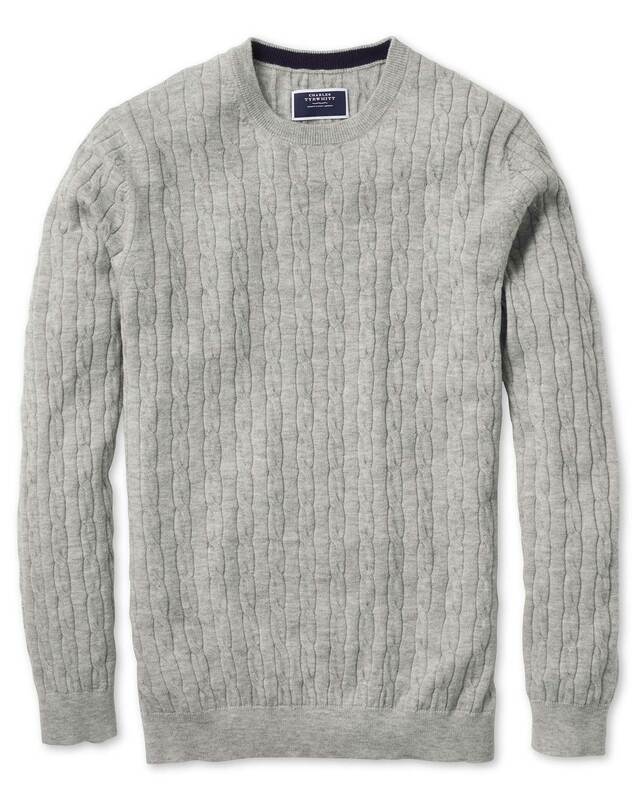 "Lambswool zip-neck jumper knitted in a traditional cable design (which traps warm air for improved insulation)." Response from Charles Tyrwhitt: While we strive to have our products reflect as true to life as possible in our images, I am sorry to hear that your recent purchase was not quite as expected. I can see from your account that you will be returning this jumper to us, please do let us know shouldyou wish for an exchange item, and I hope that your next purchase with us is more to your taste. Looks very nice. Its a Christmas present so hopefully my son will love it too. The fit was large and fits like a slim fit. Not loose around the waist. I have broad shoulders, so normally jumpers tend to be loose around the waist and look non-tailored, but this jumper fits perfectly.